Essex Mediation’s Offices are located throughout Essex and Hertfordshire. A list of family and commercial mediation services available at our in Wickford base can be found below. Our family mediation services are used in situations such as divorce, separation, parent / child conflict, breakdown of civil partnerships or breakdown of any relationships within a family. Our caring and professional team members are based in Wickford and use their experience and training to help discuss and resolve the emotional, financial and practical issues at hand. 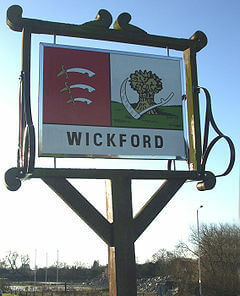 Essex Mediation is committed to delivering professional mediated solutions at an affordable price in Wickford. We tailor our services and prices to the needs of you and your business. We offer a wide range of dispute resolution and early intervention services in Wickford and each designed with the needs of both parties and the organisation at the core. We work with you to assess the situation and tailor make a solution that meets your requirements, enabling a swift and effective resolution with the least amount of disruption.